As the School winds down for the Easter holidays, over at The North Wall we’re gearing up for our annual Catalyst residency, transforming the building from hub for School drama and dance into our “ArtsLab”: a place where early-career artists can meet each other, share ideas and create new work. 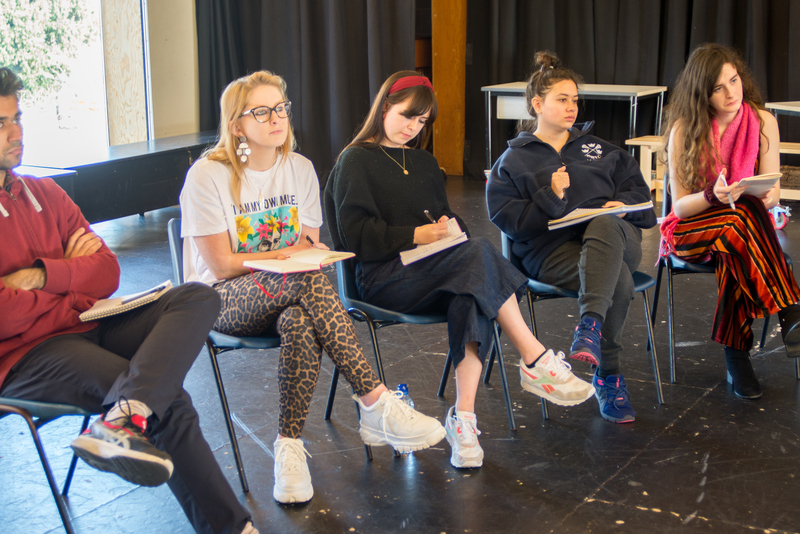 Catalyst sees six playwrights and three directors aged 18-25 come together for two weeks of learning, supported by a team of mentors and professional actors. Everyone spends the fortnight living in Apsley and eating in the Dining Hall – totally immersing themselves in the creative process. The residency culminates in the Catalyst Showcase (Friday 12 April) which launches Alchymy Festival, a whole weekend of events celebrating new voices and exciting ideas in theatre. ArtsLab exists to give opportunities to young people who are at the very start of their careers in the arts – so in the five years since Catalyst was launched, we’ve had the privilege of watching the journeys of these emerging writers & directors – and support them along the way. 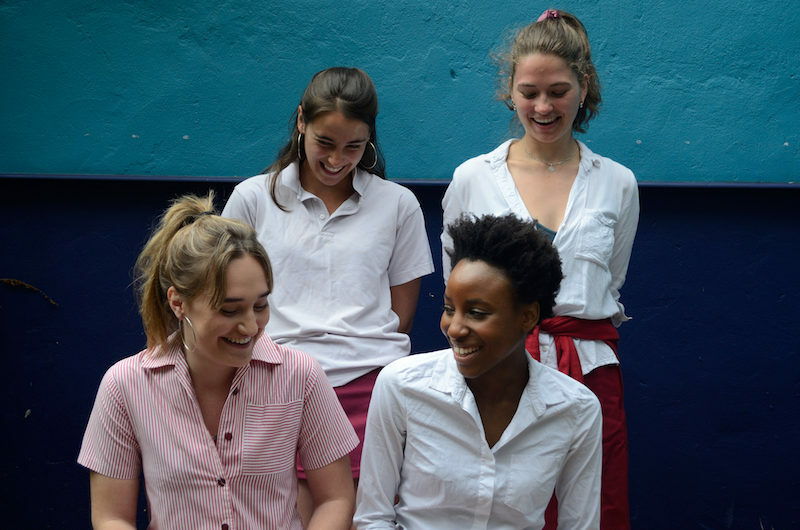 Playwright Siofra Dromgoole wrote Walk Swiftly and With Purpose – a tumbling, touching story of four female friends on the brink of adulthood – during last year’s Catalyst residency. Since then, her play has toured to the Edinburgh Fringe and Theatre503 in London – and we’re delighted to bring the show back to Oxford for two performances (Saturday 13 April 2pm & 6pm) as part of this year’s festival. Culture vultures will have to wait until Gaudy to see the final production before it heads north to the Edinburgh Fringe – but can get their theatre fix at The North Wall at Alchymy from 12 – 14 April. View the festival programme here.